"When the Work is Done"
Supper at our house isn't at a set hour. Our goal is to eat together as many nights of the week as possible. 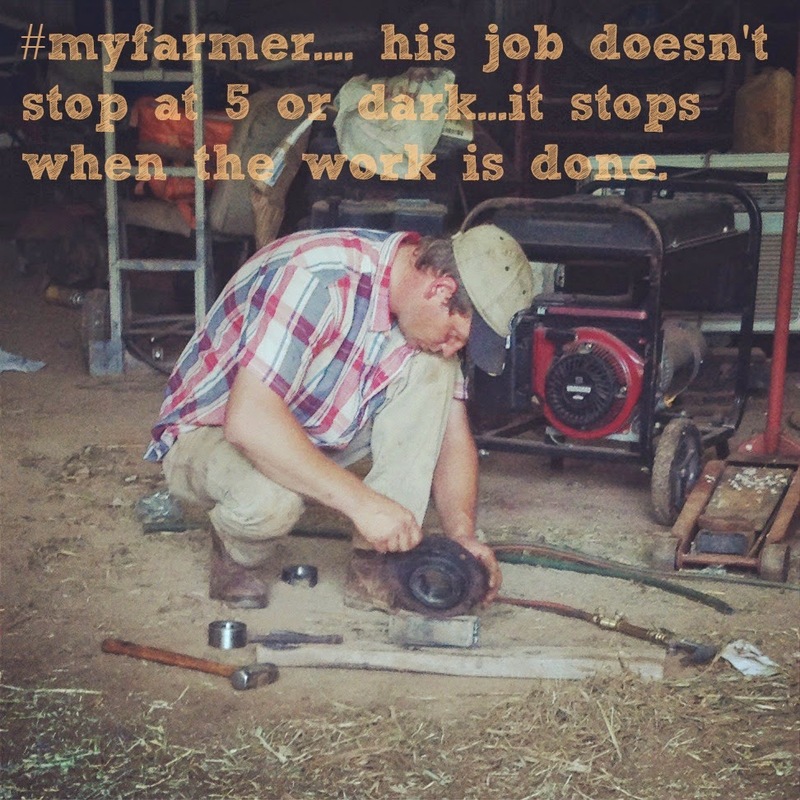 To do that we have to be flexible, because the Farmer's job doesn't end at 5 or even dark. His day's worth of work is done when every animal has been cared for, everything that can be fixed is fixed and the last field is checked. In 9 + years of marriage I can't tell you a day that he was off before 7 excluding the birth of our children.